Little Women the musical is based on the novel by Louisa May Alcott and apart from reading the book many years ago and knowing one song from the show (Astonishing) I was not familiar with the show at all. 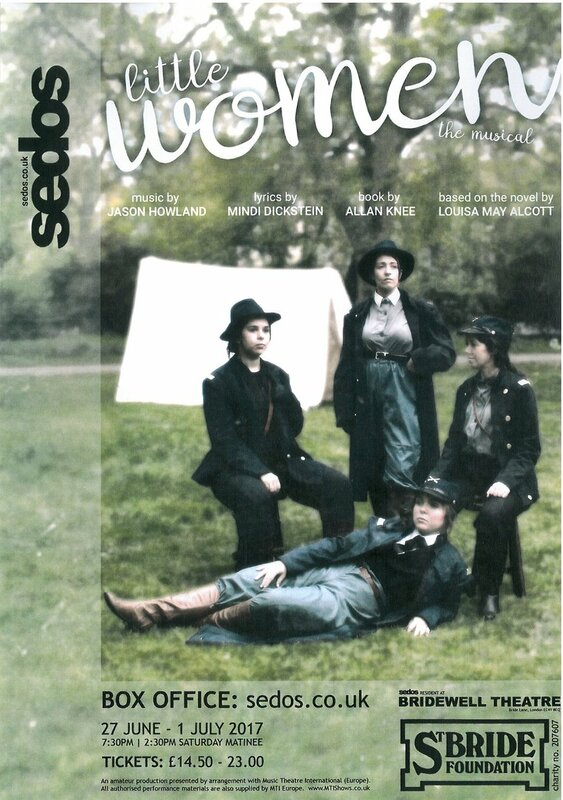 The show tells of the 4 distinctly different March sisters, Jo; Meg; Beth and Amy during the American Civil War. It’s a tale of them becoming women, each forging their own path whilst displaying the strength in family bonds. Jo, played by Kate Gledhill is the main protagonist, feisty and determined to become a writer at all costs. Gledhill captured Jo’s free sprit and determination down to a ‘t’ and dealt with her maturing outlook as the show goes on well. Her rendition of the Act 1 finalie ‘Astonishing’ was just that and left me with goosebumps. The other sisters were played by Emma Coffey as romantic Meg, Kimberly Barker as kind natured Beth and Lauren Clarke as self-absorbed Amy. A vital part of the success of the show is the bond between these 4 women on stage and they achieved this well. Each displayed their character traits well with Amy’s strops, in particular, frequently making me laugh out loud. Beth is a harder part to play as good natured can often translate to dull, although this is through no fault of Barkers and more a factor in the script. The show itself does move at a slow pace so the temptation to get to the crux of the piece came across, in particular in the scenes with Theodore Laurence III. I would have liked more time for these scenes to ‘breathe’ and for tension to build up. This was more apparent in Act 1 and by Act 2 the piece felt more settled and less rushed. The songs often did not help with the pace, often doing very little to further the plot. In particular numbers such as ‘Off To Massachusetts’ was simply a pleasant ditty. However there are one or two songs that more than make up for it (including the aforementioned Astonishing). All of the cast had fine vocals and the band, lead by Ryan Macaulay, meant that all musical numbers were performed at an incredibly high standard for an amateur company. The set was nicely designed with a wooden beam structure which nicely transitioned from the March house to Jo’s boarding school and all other scenes. There was clever use of props with suitcases becoming chairs, meaning that they were all easily moveable creating different areas of interest and plenty of playing space where required. One point that did let the show down was the lighting. This was two fold, firstly there was frequently flashing lights in a production that didn’t need it, this is Little Women not an all dancing modern musical. There were also several occasions where the characters were not lit, either at all or enough during dialogue or parts of their song and frequently lighting cues were late. 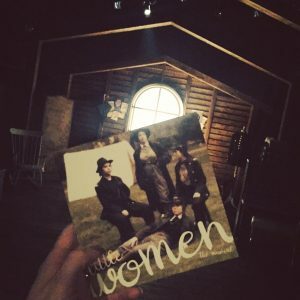 Whilst Little Women isn’t a show I would rush to see again the performance of the 4 March girls, combined with a beautifully designed set and clever direction makes SEDOS’ version worth checking out. Little Women by SEDOS is running until Saturday at the Bridewell Theatre. Their later season includes The Rivals, The Nether and Ordinary Days. If you liked this review you may also like my review of previous SEDOS shows including the Drowsey Chaperone, Reefer Madness and Candide.